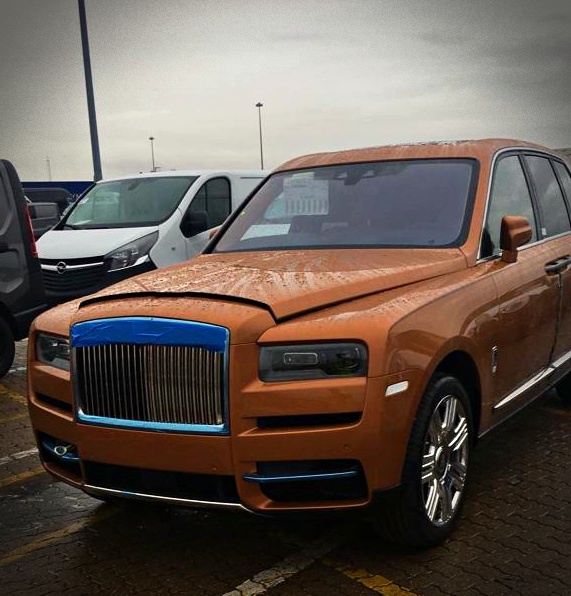 Not many people are lucky enough to drive a Rolls Royce let alone sit in one yet our correspondent had the opportunity to look over the latest offering from th Goodwood factory before it was driven onto a ship bound for the mother continent. It comes as no surprise that the initial thoughts of our dock side pals were regarding the Cullinans looks. F*@£ing ugly was heard rather a lot. What didn’t help was that this particular incarnation was painted light brown. Of course the build quality and luxury were not lost on the team at the dock. In the rare moment that a car is more luxurious than a home some could be heard to say I could live in that. Alas the time on the dock was cut short as its new owner was waiting some four and a half thousand miles south so it was loaded up on to the ship. Next on the dock was a fleet of un-driven Land Rovers that had come back from China all with minor damage. They were to be checked out at LR HQ and then shipped back again. No one knows the real reason what was going on with them but its just another interesting tale from the DockSide. Subscribe to find out more form our Dock side reporters and general enthusiast news.